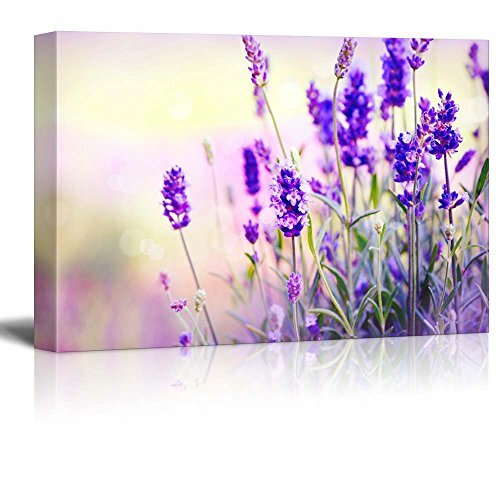 Canvas Prints Wall Art - Lavender Field | Modern Wall Decor/Home Decor Stretched Gallery Canvas Wraps Giclee Print & Ready to Hang - 12" x 18"
This is a very quality canvas painting. Couldn’t be more pleased with this purchase.? Looks great in my Lavender themed half bath. I really love it for my bedroom! Very light and easy to hang.... The colors look great and I have zero complaints. My favourite flower in the colour that I love. Couldn't be better. Wonderful detail.